You are not wearing sunscreen because it is cloudy!???? Let me ask you if can you can see and feel UV rays? No, you can’t! Sunlight can be seen and infrared rays are felt as warm, but you cannot see or feel UV rays and up to 90% of UV rays can get through light clouds! You are not a chicken and do not need to bake yourself! There is nothing good about this tan caused by UV rays. It burns your skin, causes cancers, wrinkles and damages your skin making you look older and gives you cataracts and blindness. Sunscreens are either chemical or physical. 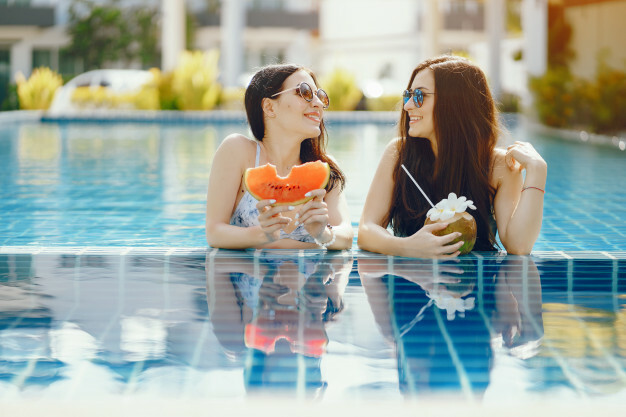 Chemical sunscreens act to protect the skin from UV damage by absorbing UV using chemical additives such as PABA, Benzophenones, cinnamates or salicylates. These sunscreens don’t streak your face white but can sometimes give rise to allergies on your skin due to their chemicals. Physical sunscreens act by reflecting and scattering the UV rays, using reflective additives such as zinc or titanium. They give both UVA and UVB cover but do paint your face white! The sun protection factor, or SPF, reflects the length of time the skin can be exposed to UV rays before it goes red. A SPF of 15 means that the skin can be exposed to the sun for 15 times longer than it usually would take to become red. When you buy sunscreens from supermarkets, you look at their star rating. The stars reflect the percentage of UVA absorbed in comparison to UVB, by that particular product. A low SPF can still have 5 stars because that is a measure of that product’s ability to absorb UVA in comparison to UVB, not a measure of giving your skin protection! So please don’t buy a low SPF product by just looking at the stars! A good choice is a broad-spectrum sunscreen with a SPF of 30 and 4 or 5 stars. HOW DO YOU USE YOUR SUNSCREEN? You think you have your sunscreen on.90 percent of us do not apply it the right way. Practically, not a soul I know follows these recommendations! So let’s do something more practical- wear long sleeved, tightly woven garments and wide-brimmed hats during those afternoon walks! The jury is still out on this one. The WHO has classed UV rays as carcinogens. The pharmacies are full of Vitamin D supplements. Use them to save your bones but save your skin from the sun. Finally, I recommend reading the British Association of Dermatologists webpage on their guidance to sunscreens. At BeautyWorks London, we stock a range of clinic only sunscreens, from leading manufacturers, such as Obagi, Alumier and Tebiskin. They are hypoallergenic, and they work! 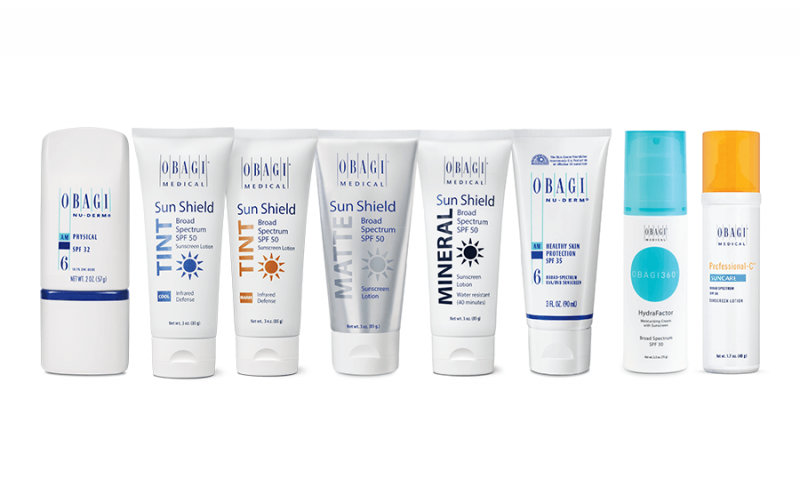 Obagi also offers us the more traditional physical Sun Block SPF32 with 18% zinc oxide that provides broad-spectrum UVA/UVB protection. Don’t forget to stock up before the summer holidays!